SoftPerfect RAM Disk is listed in Memory Tweak category and made available by SoftPerfect Research for Windows XP/Vista/7. Unfortunately, we have not yet reviewed SoftPerfect RAM Disk. If you would like to submit a review of this software, we encourage you to submit us something! What is SoftPerfect RAM Disk software from SoftPerfect Research, what is it used for and how to use it? The program creates a virtual disk residing in the computer RAM accessible in Windows Explorer and other applications, allowing you to store any temporary information on this disk. Furthermore, Windows can be configured to use the disk for temporary files, so the system and most applications will use the fast in-memory disk for temporary data. As Windows and third-party applications often create a large number of temporary files for a short time only, using a RAM disk will extend your hard disk’s life by sparing it from excessive reading and writing. Modern computers are equipped with at least 1 GB of RAM, however most of the time there is a lot of unused memory that could be used as a high-performance alternative to the slower hard disk storage. This product lets you create any number of virtual RAM disks limited only by the memory available. You can also work with on-disk images and RAM disks associated with an on-disk file, that ensures your data is preserved between sessions. Higher PC performance. Provided you have got a sufficient amount of RAM, using a fast in-memory disk for temporary data will boost the computer performance. Reduced file system fragmentation. The file system on your hard disks will be far less fragmented as temporary files are never written to the hard disk. Reduced wear-and-tear of the physical disk. As temporarily files are not written to the hard disk, there will be fewer read/write cycles, which is especially important for prolonging the life of Solid State Drives (SSD) installed in some laptops. Less junk on the hard disk. Often software applications create temporary files that remain undeleted although no longer needed. The contents of RAM disks is cleared every time the computer is restarted or switched off. Less noise and heat from the hard disk because the system will use the hard disk less intensively. Download and install SoftPerfect RAM Disk safely and without concerns. SoftPerfect RAM Disk is a software product developed by SoftPerfect Research and it is listed in Tweak category under Memory Tweak. SoftPerfect RAM Disk is licensed as Shareware which means that software product is provided as a free download to users but it may be limited in functionality or be time-limited. You may need to pay at some moment to continue using product or to use all functionalities. You can run SoftPerfect RAM Disk on Windows XP/Vista/7 operating systems. SoftPerfect RAM Disk was last time updated on 04.10.2018 and it has 6,055 downloads on Download.hr portal. Download and install SoftPerfect RAM Disk safely and without concerns. A sufficient amount of RAM depending on disks created. What do you think about SoftPerfect RAM Disk? Download.hr periodically updates software information of SoftPerfect RAM Disk from the software publisher (SoftPerfect Research), but some information may be slightly out-of-date or incorrect. SoftPerfect RAM Disk version 4.0.8 for Windows XP/Vista/7 was listed on Download.hr on 04.10.2018 and it is marked as Shareware. All software products that you can find on Download.hr, including SoftPerfect RAM Disk, are either free, freeware, shareware, full version, trial, demo or open-source. You can't download any crack or serial number for SoftPerfect RAM Disk on Download.hr. Every software that you are able to download on our site is freely downloadable and 100% legal. There is no crack, serial number, keygen, hack or activation key for SoftPerfect RAM Disk present here nor we support any illegal way of software activation. If you like software product please consider supporting the author and buying product. If you can not afford to buy product consider the use of alternative free products. Is it safe to download and install SoftPerfect RAM Disk? SoftPerfect RAM Disk was checked for possible viruses by various leading antivirus software products and it is proven to be 100% clean and safe. Although, no malware, spyware or other malicious threats was found we strongly advise you to check product again before installing it on your PC. Please note that laws concerning the use of SoftPerfect RAM Disk may vary from country to country. Please be sure that you are using SoftPerfect RAM Disk in accordance with the law in your country. How to uninstall SoftPerfect RAM Disk? How do I uninstall SoftPerfect RAM Disk in Windows Vista / Windows 7 / Windows 8 / Windows 10 OS? Make sure the "SoftPerfect RAM Disk" is highlighted and then make right click, and select Uninstall/Change. 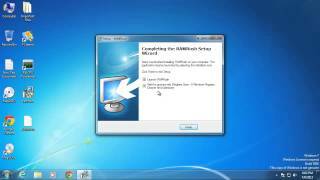 How do I uninstall SoftPerfect RAM Disk in Windows XP? Make sure the "SoftPerfect RAM Disk" is highlighted, then click "Remove/Uninstall." How do I uninstall SoftPerfect RAM Disk in Windows 95, 98, Me, NT, 2000? Select "SoftPerfect RAM Disk" and right click, then select Uninstall/Change.